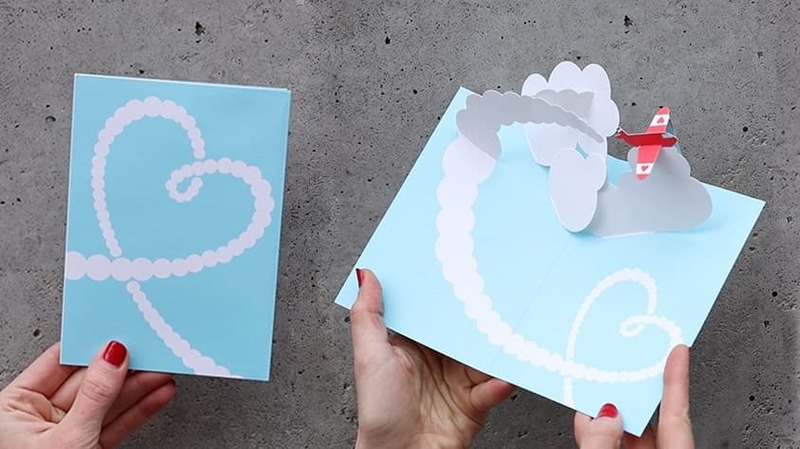 This set of six Sky Love You Pop-Up Note Cards features a pop-up plane creating a heart-shaped flight path. Designed and engineered by hand—and painstakingly assembled by hand—our 3D cards are more like objects than simple greeting cards. Each card elicits whimsy and an element of surprise. Blank inside. Red envelopes. Make every day special with these feats of paper engineering. Designed and painstakingly assembled by hand, these 3D cards are more like objects than simple greeting cards. We use the highest quality embellishment, including metallic foils, glitter and specialty inks. There are no printed messages in our Everyday Cards, making them suitable for a wide variety of occasions: birthdays, thank yous, bridal showers, general gifting and more.